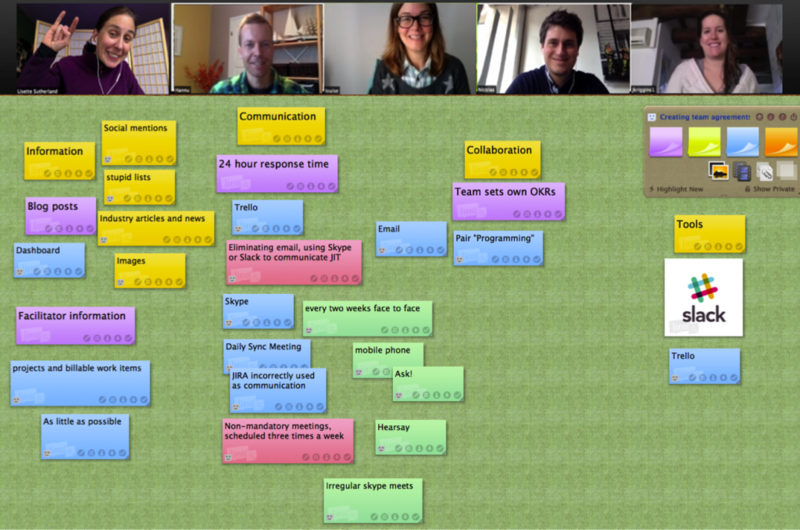 My favorite way of taking a remote team through the ICC workflow is by using an online sticky note tool. Each team member posts their answers to the questions on a sticky note (one answer per sticky note). Once everyone has finished, the discussions can start! Categorize the answers so that similar items are grouped together. Then talk through everyone’s answers and document the items that everyone agrees on. For documentation, use whatever is useful for your team: a Google Doc, a wiki, a Word document. Anything will do as long as it’s easily accessible by everyone on the team. There will also be some items that not everyone agrees on. I like to document these things in the team agreement as well so that the team knows where the points of disagreement are. The most important thing is not that everything gets documented, but rather, it’s the discussion that happens around these items. The team agreement is meant to be a “living document”. This means that it should be updated regularly. Remember, every time someone joins or leaves a team, it’s a new team. However, that doesn’t mean the team agreement needs to be updated every time someone joins or leaves. In fact, having a team agreement in place can help new people step into the team norms, and then make suggestions for improvements during the next review session. Whether you’re starting with a fresh team on a new project, or whether you’ve been working together for a long time, creating a team agreement helps form the glue that binds your team together. I've put together a template for the Lucid Meetings template gallery that will help you plan and run this meeting on your own. Anyone can download a free step-by-step copy of the agenda process to reference when using your favorite sticky note app. Or, if you have a free Lucid Meetings account, you'll find everything you need to create a new agreement with your team in the built-in template. Lisette Sutherland helps teams work together from anywhere online and runs the "Work Together Anywhere Workshop." The workshop helps teams avoid miscommunications and outline acceptable behaviors for how they want to work together. 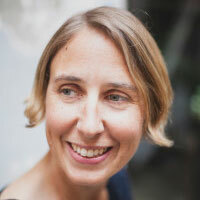 Lisette is also working on a book titled "Collaboration Superpowers: Stories of Remote Teams Doing Great Things". Learn more at CollaborationSuperpowers.com.